We help clients work together to maintain a respectful dialogue and reach agreements that result in sustainable outcomes that will benefit everyone involved in the process. Mediating your divorce in the presence of a neutral, trained mediator gives you control and privacy over the outcome of your case and a much higher level of personal satisfaction at having worked out an agreement, rather than having results mandated through court. "What to Know About California Divorce"
Sign up today to download our free eBook! Our virtual online divorce mediation option is designed to make divorce mediation possible anywhere in California at a reasonable cost and added convenience. Any parent with children in this day and age knows that raising children is a very costly and challenging endeavor. Every parent is striving to get their children into the best elementary, middle and high school programs they can. The same with getting their kids into expensive club sports and a host of other activities, all with the intent of their children into college and the best colleges they can. Getting into college is much harder nowadays and requires high grades and other accomplishments just to be considered, much less getting in. Most parents already feel overwhelmed, that the competition is fierce compared to when they were growing up, and that they are not doing enough compared to everyone else. On top of that, many parents are dealing with issues of ADHD, speech delay, social/behavioral development problems, anxiety, autism, etc. concerning their children that make the struggles of child-rearing that much more challenging. Then add DIVORCE into the mix. The focus at that point shifts to how will the parties’ assets and income now support 2 households instead of one. Divorce can be very hard on children emotionally and psychologically, and even if the parents do a good job of shielding their children from it, children still have to adjust to a new life and a new lifestyle which can be a long, bumpy road. It can negatively affect school performance and other aspects of their lives in both noticeable and also subtle ways. So now your children are falling behind other children who are not going through divorce. If you and your spouse choose to battle each other in court which can take many months or years, thousands and thousands of dollars will be spent in the process by both of you. The money spent on legal fees will deplete the assets, retirement, and college savings and income of the family, and litigant parents will likely incur substantial credit card debt to cover their legal bills. For many families, they will never recover financially. How are you going to put your child or children through college when the money is gone? Maybe you will be able to get parent or student loans to do so, but in reality, your children will be disadvantaged and their future opportunities will have been limited because they cannot compete against intact families who are able to be focused on their children’s success, not beating the other parent in court. Families in Orange County and around California are discovering the financial benefits of divorce mediation. Divorce can have life-long negative financial consequences, and when divorce is something that cannot be avoided, you and your spouse owe it to your family, to your children, to their future and your future, to come to the table as mature adults and mediate your disputes. You will save a tremendous amount of money in the process while saving your financial future. Getting a divorce does not mean having to destroy or damage the future of your children, not to mention, you. You must consider divorce mediation or custody mediation as a practical alternative to litigation where you will spend much more money with no control over the outcome. The cost of mediation is a fraction of the cost of litigation in court, and doing so will save your family’s financial future. California Divorce Mediators offers mediation to assist you in coming to a quick, fair and cost-effective agreement. 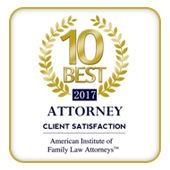 This alternative may help you avoid the expense of litigation and achieve a relatively swift resolution to your divorce. We will explain the process to you in depth and allow you to choose to proceed with mediation, should it suit your goals and wishes, or proceed to litigation if there is no other workable solution. Call us today at 1.949.553.0911 to discuss mediation of your divorce, legal separation, child custody or property division issues.